I have been so taken by our invasion of Lovebirds that I hadn't noticed how small they are. 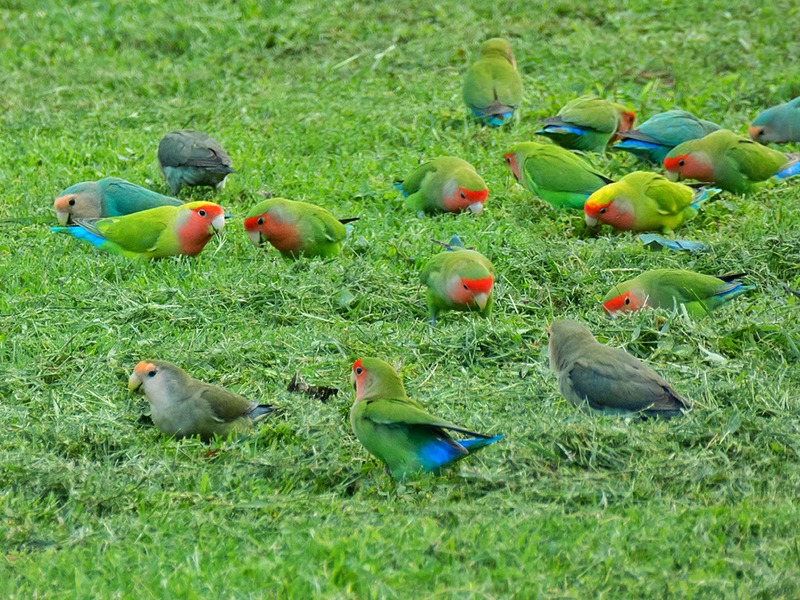 This group of twenty-six were so focused on dining in this freshly mowed lawn, that they let me approach quite closely. When I looked up from my camera viewfinder, I was surprised to observe that they are no larger than my closed fist. This is also the first time I've seen so many that are a faded blue color. Wikipedia tells me (HERE) that the green body with a rosy face is a dominant genetic trait, but that the blue variant is a recessive trait of the same birds. Interesting.